Classic work shoes just got better. Whether you’re in food service, cooking school, security, or other uniform-based careers that require black non-slip work footwear and a lot of time spent on your feet, finding the right work shoes is very important. Keeping th ... (see full details) (see specifications) #5SG30105-001. Classic work shoes just got better. Whether you’re in food service, cooking school, security, or other uniform-based careers that require black non-slip work footwear and a lot of time spent on your feet, finding the right work shoes is very important. Keeping things light but durable, supportive and flexible will make a big difference in your day. You also don’t want to spend a whole day stomping around in heavy boots, so if that sounds like you then you need to check out these Fila Women’s Elleray 5SG30105 001 Black Memory Foam Slip-Resistant Shoes. Taking the technology infused in their wide array of athletic shoes and adding the necessary grit to make them just right for the workplace, Fila has the perfect slip-resistant women's work shoes to keep you going. For your benefit, the slip-resistant outsoles have been tested and approved to meet ASTM F2913-11 slip resistant standards for safety in your workplace. The key to comfort when you’re on your feet all day is lightweight support. To keep it light, Fila made the uppers on these ladies’ food service shoes from synthetic materials for plenty of breathability and lightweight comfort. Having your steps weighed down is the last thing you want from your women's shoes. Using synthetic materials for the uppers is also a positive feature for those who try to avoid wearing real leather. The durable uppers have secure lacing systems and comfortable padded collars for comfort around your ankles, and a touch of style is subtly added with the matching black stitching and seams on the uppers of these Fila shoes, too. The memory foam insoles greet your feet with soft comfort and cushion that conforms to your individual feet with every step. This rebounding foam also refreshes the comfort each time you lift your feet to take a step or shift your weight, which means a fresh feeling every time. The breathable foam also promotes air flow around your feet to help combat sweat. Meanwhile, the flexible athletic midsoles of the Elleray Memory Foam shoes work to reduce the amount of stress your feet experience as you walk for less fatigue and more stamina in your day. The slip-resistant outsoles have been tested and approved to meet ASTM F2913-11 slip resistant standards for safety in your workplace. So when you’re looking for lightweight work shoes with that classic smooth black finish and all of the comfort and support you need to get through your shift, you need these Fila Women’s Elleray 5SG30105 001 Black Slip-Resistant Memory Foam Shoes from Working Person's Store. Order your pair from us today! 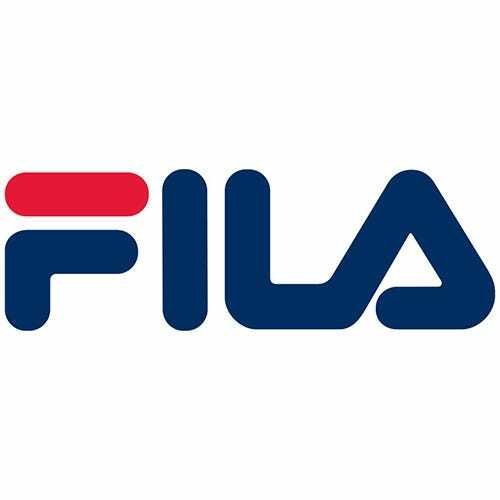 Fila Shoes: Women's 5SG30105 001 Black Slip-Resistant Memory Foam Elleray Shoes is being added to your cart.